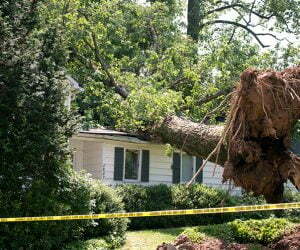 We help our clients with storm damage claims. 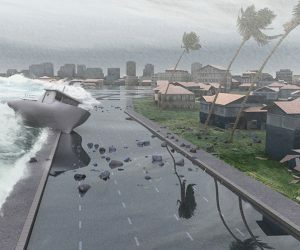 Living in Florida, hurricanes are part of a reality we face annually. Hurricane damage is a very costly and dangerous threat to homes. Hurricanes are encompassed with high winds and torrential rain. If you have experienced hurricane damage to your home, one of our licensed public adjusters will come out and review your potential claim. 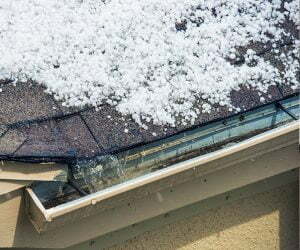 Impacts made by hail include broken windows, air conditioners, exterior wall dents, and roof damage. Although the insurance may not cover cosmetic injury, take note of any harm that destroyed the interior or structure of your home or business that affects the quality of life. Florida isn’t often plagued by massive amounts of hail; however, if it does happen to you and you need to adjust your claim, you know who to call. Dangerous storms are relatively frequent in South Florida and sometimes develop without warning. These natural disasters are very destructive and can cause extensive and costly damage to your home with high-speed winds. If you have experienced storm damage to your home or weather-related property damage, one of our licensed public adjusters will come out and review your potential claim. We are vulnerable to lightning strikes because Florida is the lightning capital of the United States. 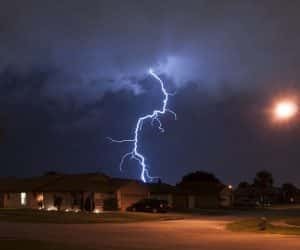 Many homes, with thorough electrical inputs, are susceptible to lightning damage, and although it may not come in direct contact, it can still cause substantial damage. If your home is harmed after a storm, give Platinum Public Adjusters a call.